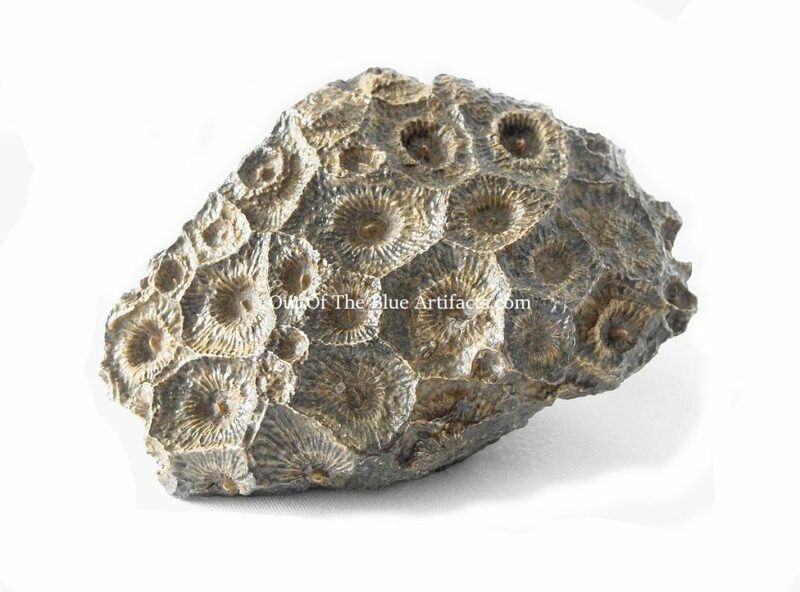 Actinocyathus Coral (the featured image above) shows the top surface of the Coral. The image (left) shows the underside that was attached to the sea-bed. 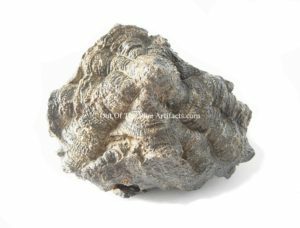 Size of fossil 3″ x 3″ inches. 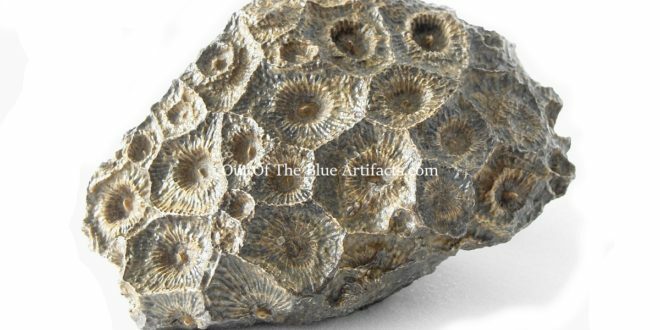 The early Carboniferous Period – 350 million years ago.